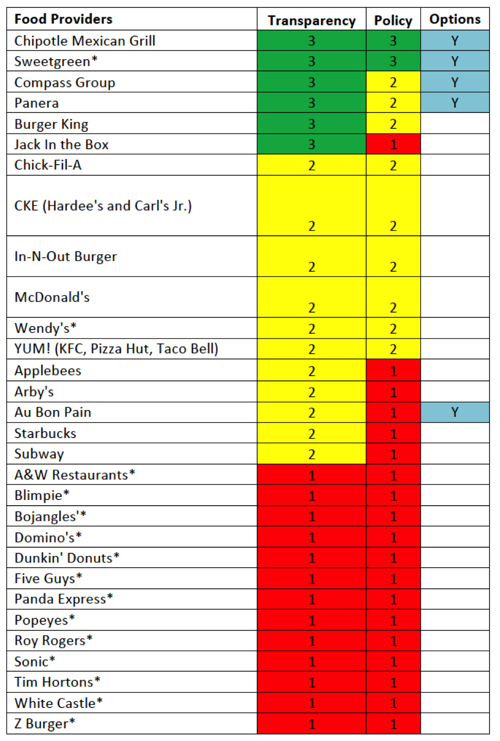 This week, Congresswoman Louise Slaughter of New York released the results from a survey of over 60 fast food, retail, production and grocery companies asking them about their policies on the use of antibiotics in meat and poultry production. The goal of the survey was to evaluate their level of transparency about antibiotic use and to reveal to consumers the extent to which antibiotics are used in their food. 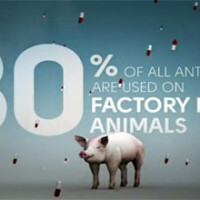 Findings indicate that the majority of companies surveyed regularly feed antibiotics to their healthy animals to prevent illness and to promote faster animal growth. This overuse of antibiotics has been found to result in an increase in “superbugs,” bacteria resistant to one or more antibiotics. 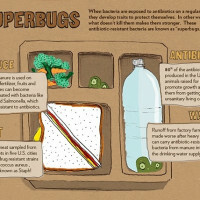 Whole Foods, Chipotle Mexican Grill, Niman Ranch, Bell & Evans, Coleman Natural Foods, Ozark Mountain Pork, Applegate Farms and Sweetgreen are some of the few companies that do not use antibiotics on healthy animals. 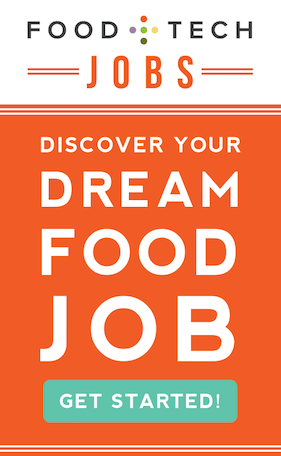 All are also highly transparent about their food production processes. 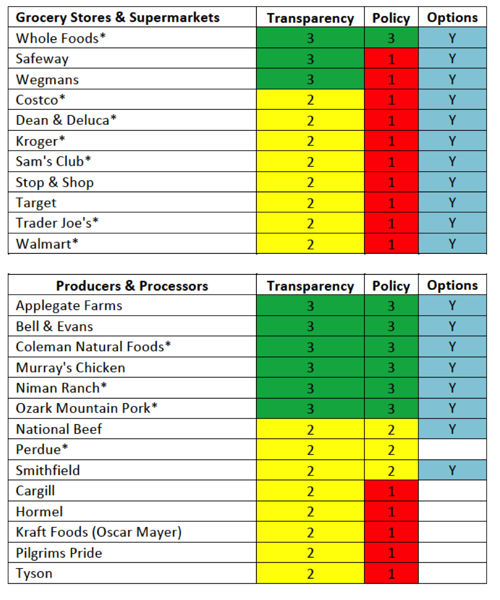 The survey data is presented in an easy-to-use color coded format. 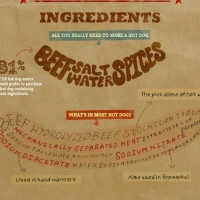 More information about how you can encourage these retailers to change their practices is available on the Meat Without Drugs campaign website. 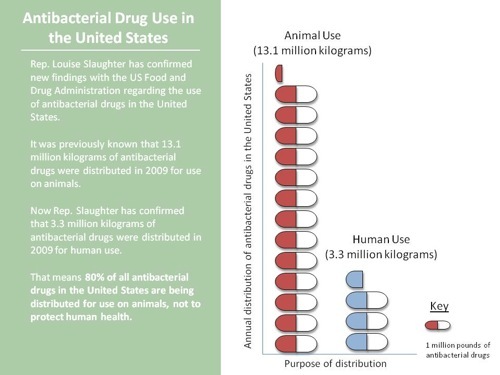 The following graphic outlines Rep. Slaughter’s 2011 finding that 80 percent of antibiotics are used on animals.